Small transparent glass side jar with silver plastic screw on lid. Available with Red,Green,Light,Blue,Orange,Violet,White,Black,Burgundy,Lilac,Teal,Dark_Blue,Yellow fillings. 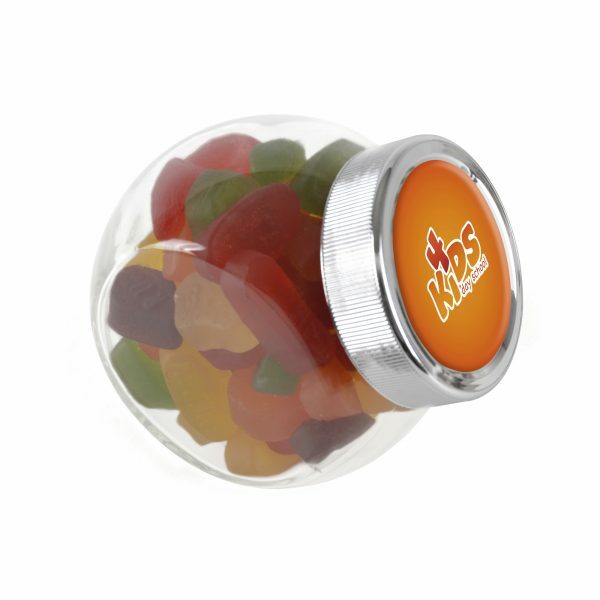 Pricing is based on product filled with Jelly Beans and doming on lid. For other filling and personalisation options please contact sales office.